Customers often ask how they can know if a message has been read by a specific recipient. Typically, this is done by requesting a “Read Receipt” when sending the message; however, read receipts are not reliable. Spammers use techniques such as HTML “web bug” tracking to see if you have read an email message and thus if your email address is valid and ripe for more spamming; this is also not reliable. LuxSci’s SecureLine Escrow service includes a 100% reliable Read Receipt function that can be used when it is essential to know if someone has read a message. It also allows for message retraction (removing further access to an email message). This article goes over these various methods of determining if a message has been read, shows how each works, and discusses the pros and cons of each. Read Receipts are requests that are attached to an email message by the sender. Most email programs, like Outlook, Thunderbird, and LuxSci WebMail, allow Read Receipts to be added to email messages, and allow senders to choose if they are sent “never”, “on demand”, or “always”. Receipt: When the recipient of the message first opens the message, the recipient’s email program may see this header and send a special “Delivery Notification” email message back to the address somebody@luxsci.net. Then somebody@luxsci.net gets this notification, s/he knows that the message has been read. Not Reliable: Read Receipts are not a reliable way to know if a message has been read. Why? No Support: The recipient’s email program might not support responding to Read Receipt requests. In this case, receipts would never be sent. Refusal: Even if the email program does support Read Receipts, the programs generally allow the recipient to choose if they should be responded to. I.e. recipients could choose to respond “never”, “always”, or “decide each time”. The default is usually to prompt the recipient and allow them to decide yes or no for each receipt. So, if you are using a Read Receipt to confirm delivery, you will usually only get a receipt if the recipient wants you to. Sending Read Receipt requests is not reliable for confirming the read status of a message in general, especially if the recipient is trying to deny that the message was even received! So, how can you tell if someone has opened and read a message without a Read Receipt request and without letting the recipient know that you are “checking”? When an HTML-formatted email message is opened, any referenced external objects such as images are usually downloaded from the Internet and displayed. For example, if someone sends you an email message with a link to display a picture of somebody, and that picture is not attached to the message, but hosted somewhere (like on Facebook), then your email program will download that image and display it to you. The trick is for the sender to include some unique tracking code in the link to that picture. Then the picture is downloaded, the web server where it was stored records that download, complete with the date, time, tracking code, and your computer’s IP address. By looking at those web server log files, the sender can confirm if you have downloaded the image and thus if you have read the message. Typically, but not always, the tracking code is attached to some small innocuous image (like a small invisible image). These small tracking images are collectively known as “web bugs”… because your email is “bugged”. Not Reliable: Web bugs are not a reliable way to know if a message has been read. Why? No HTML: If the recipient opens the message in an email program with HTML support turned off, no images or other objects will be downloaded. For example, LuxSci WebMail shows recipients a plain text preview of their messages … there is no way to track opening the plain text preview of a message using a web bug. Images Off: If the recipient has turned display of external images off in their email program, then the web bugs would never be downloaded. This is an optional feature in some programs like Thunderbird and LuxSci WebMail. Web Bug Extraction: Some email filters will auto-detect images that look like web bugs (i.e. images that look like they have tracking codes on then) and will automatically remove them by replacing them with transparent images. In this case, the web bugs would not be downloaded, but other images would show up fine. LuxSci’s Premium Email Filtering can do this. Spammers don’t really care that this is not 100% reliable. It is “good enough” to identify a large number of valid recipients and thus allows them to narrow down their lists and send these people more spam. 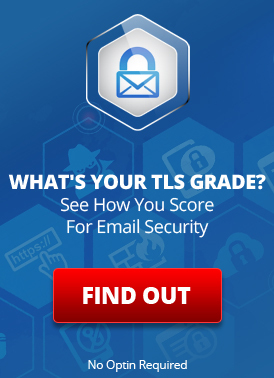 See Protecting Yourself from Email “Web Bugs”. So, how can you know, 100% of the time, if your recipient has read your message or not? Send the recipient a notice that a message is waiting for him on that web site and provide him/her with the means to access it. In this way, you know if and when the message was retrieved. You also know how many times it was accessed, from what IP address(es), and you could remove access to it (i.e. retract it) at any time. These Reliable Read Receipt and Retraction features are included in LuxSci’s SecureLine Escrow service. If you do not have access to your control your recipient’s email system, then you should consider using a message pickup system with tracking included, such as SecureLine Escrow. This entry was posted on Tuesday, May 10th, 2011 at 6:00 pm	and is filed under Email Marketing, LuxSci Library: The Technical Side of Email. You can skip to the end and leave a response. Pinging is currently not allowed.